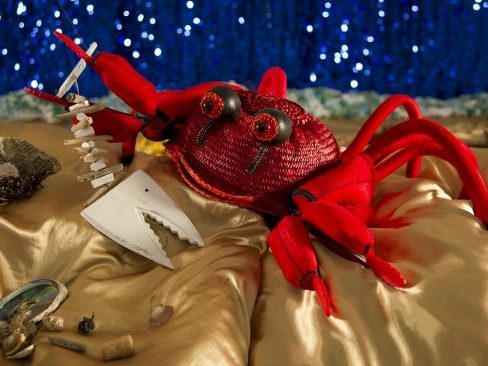 Oddysea is an interactive multi-sensory tale set in a tactile underwater wonderland. 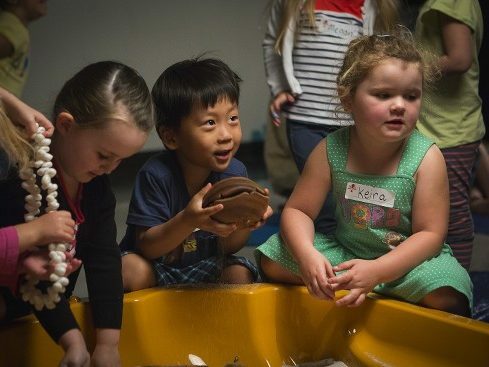 Young audiences take a hands-on journey through an oceanic world of touch, tastes, smells, live original music and highly visual storytelling. Nestled on the beanbag sand-dunes audiences become part of the Oddysea unfolding around them. 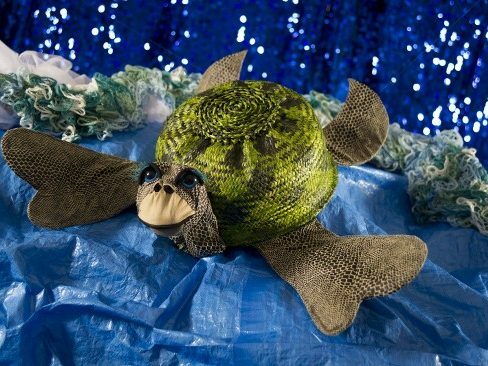 Beginning at the shimmering gold satin sands of the beach they journey with Crab and his best friend Turtle through sparkling blue-sequined waves to a kaleidoscopic crocheted coral reef, encountering many memorable oddities along the way. 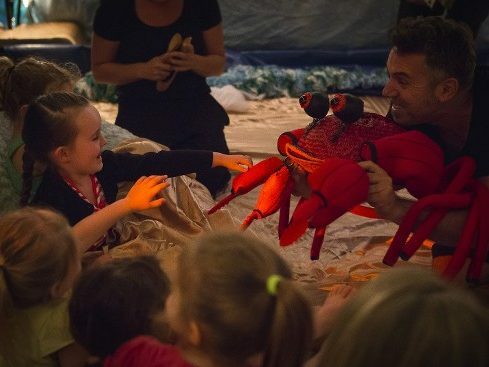 With beautiful sea-themed songs and lots of one-on-one interaction, Oddysea ensures that every audience member has the best seat in the house. 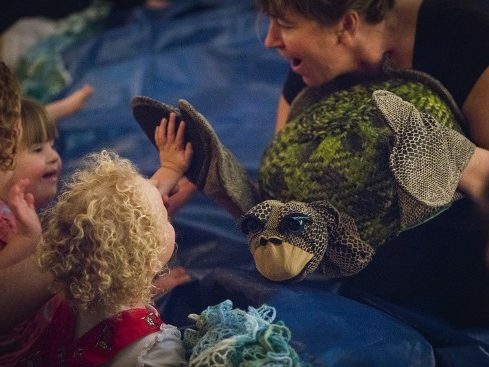 Oddysea has been performed at multiple venues across Australia, including the Sydney Opera House and Arts Centre Melbourne. 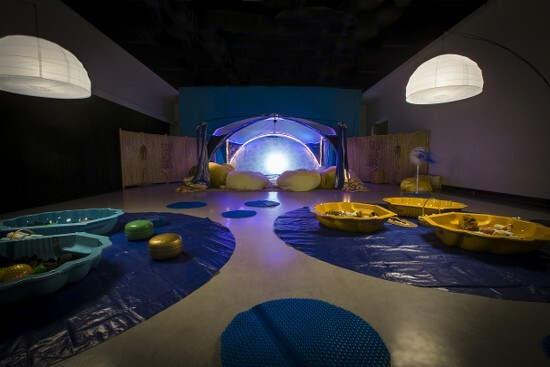 Sensorium Theatre from Perth is the only professional theatre company in Australia who design and develop productions for children with special needs and was featured on Australia’s ABC News Breakfast Show. 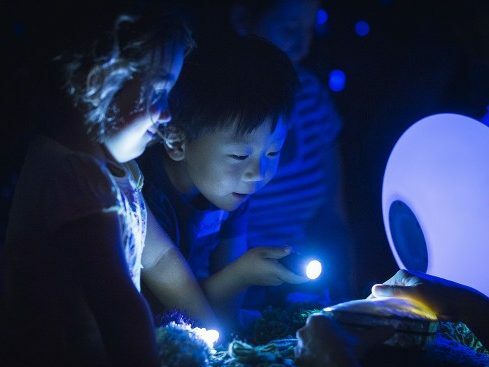 To enhance audiences’ understanding and enjoyment, Sensorium Theatre have created additional resources including a video introduction and a talking book. These will be available free of charge upon booking of the performances for the teachers, children and families attending the performance. Additional accompanying adults will need to purchase an extra ticket at $28. Oddysea is especially suitable for young people with additional needs including autism spectrum condition, sensory processing issues or impairments, intellectual disabilities, global development delay, cerebral palsy and those with additional mobility needs. Suitable for all ages. Please arrive at least 15 minutes before the show starts and provide us with the name and contact number for entry. Booking and Payment: To book and make payment, please click on the “Book Now” button below. Booking is confirmed once payment has been received. Please book considerately and accordingly as purchased tickets are strictly non-refundable and change of dates or times are not permitted. Places are limited to 14 pairs (i.e. 1 child and 1 carer). An early booking will secure your place.